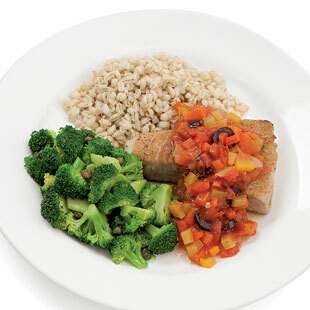 Fish is an excellent source of lean protein and it cooks quickly. These 500-calorie fish dinners take less than 45 minutes from start to finish. Browse through these dinners to choose your main dish recipe, then pick from the suggested side dishes, desserts or drinks to round out your 500-calorie meal. Whatever you choose, you can't go wrong getting more fish into your diet.